1) What Are Asset Tags? 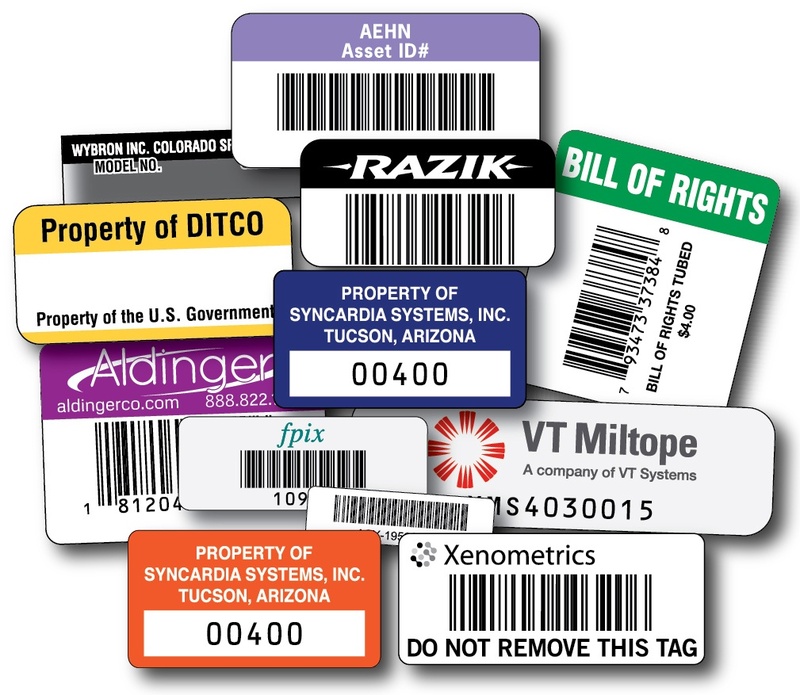 Asset tags, or asset labels, are adhesive-backed labels created to identify your company’s property, inventory, and equipment, from laptops to ladders, from filing cabinets to computers. SixB Labels can offer you a whole variety of asset tags, which are pressure-sensitive products designed to be applied to your equipment, and meant to help you deal with all of your inventory-related tasks. As assets have become smaller, increasingly mobile, and of greater and greater value, asset tags have had to adapt, becoming smaller, tougher, and able to work more closely with any tracking software. A typical asset label features a number and a barcode to automate and thereby speed up data entry, while also reducing input errors. This feature makes an asset tag into a useful tool for all of the major tasks of working with your inventory. 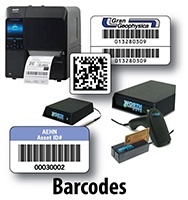 For ID and scanning purposes, asset tags can also feature a variety of other information, including company logos, workplace or shipping addresses and any other necessary information. 2) What Are Asset Tags Used For? The single most important job of an asset tag is inventory control. Asset labels allow you to track your equipment, instruments and other items of value as they are moved from one workplace location to another, taken to and from the job site, or checked into and out of storage. Some asset labels are also invaluable in reducing theft and loss of goods from the work environment. 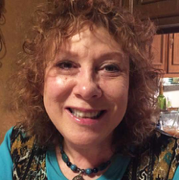 They make it easier to return an item to its proper owner, and at the same time, help to make it more difficult for thieves to resell your stolen goods. Another security function of asset tags is location tagging. For example, a security guard making rounds at a worksite might be required to scan a tag with tracking information to prove he/she was at a given location at a certain time. 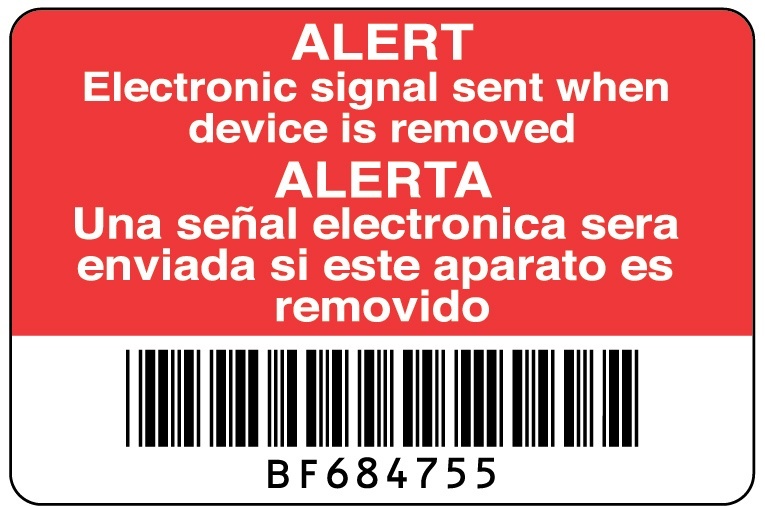 The tag can be printed with both a human readable sequence and a machine readable barcode containing a hidden character that cannot simply be copied and entered in manually from another location. In addition, when the time comes to audit your assets in order to determine their current value, having your items properly identified via asset labels greatly assists that process. Another asset tag usage scenario is one in which an employee of a law or accounting firm, for example, can remove a file from a central repository and scan a tag on the file to allow tracking of billable hours worked for that file. Lastly, an asset label also allows a user to access a database of repair instructions for that piece of equipment, facilitating equipment maintenance. 3) What Materials Are Asset Tags Made From? To make an asset label effective in remaining with an item for the length of its useful life, durability must be a key feature. SixB Labels can offer asset tags made of material that can withstand temperatures that range from minus 40 degrees to plus 300 degrees Fahrenheit, which makes them suitable for harsh indoor or outdoor environments. 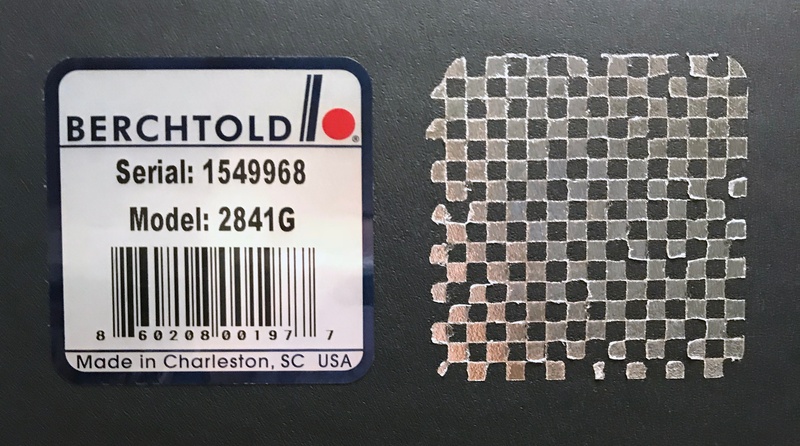 In addition, our asset tags can be provided with an aggressive adhesive for excellent adherence to varying surfaces, which could include metals such as aluminum, as well as plastics, steel, wood, and engineered polymers. Polyester is a common and popular material for asset tags. Flexible, yet durable enough to withstand a variety of environments and handling, it remains an ideal solution for asset tags going on such indoor items as computers and office furniture as well as outdoor equipment. 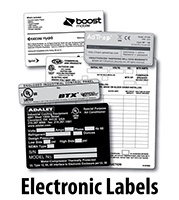 It can be made in a range of thicknesses for a wide array of asset tags. It is normally provided in a rolled format and includes a laminate for protection. 4) What Formats Are Asset Labels Available In? Multi-Part Barcoded Asset Labels — This format is one very useful approach for an asset tag. This approach allows you to tag your items with an ID number, and then remove the tab portion with its matching ID number and attach it to your records. By reducing the chance of handwritten errors in your paper records, the separate tab makes record keeping easier. In addition, for ease of application, the labels with their matching ID numbers are printed together on a single roll. Destructible Vinyl Asset Labels — These asset tags are designed to be almost impossible to remove in a single piece. When this label is tampered with, it separates into numerous small pieces, thereby defeating the attempt to remove it and its identifying markers cleanly. This could include an set tag with sabotage cuts. 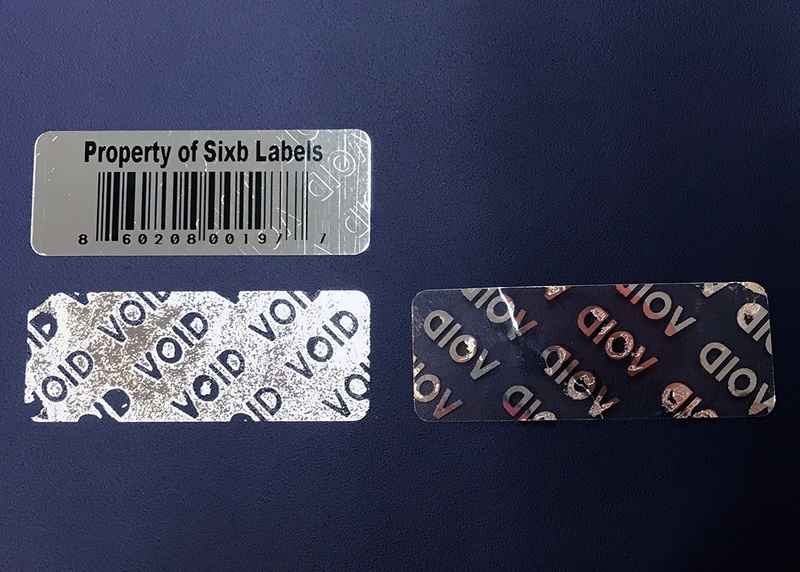 Tamper-Evident Asset Tags — These labels are normally made of polyester and designed so that, once applied to an asset, when any attempt is made to remove the label, the word “VOID”, or a checkered pattern, will be left behind, both on the item itself and on the back of the label, in order to prevent tampering. Removable Asset Tags — For those times when it is necessary to apply an asset label that is simultaneously durable enough to withstand handling but also needs to be removed after only a short time, SixB Labels can provide an asset tag which can be removed and/or repositioned easily. 5) Why Are Asset Tags Important? Manufacturers need to track assets after exposure to harsh conditions, so a barcode that can withstand physically challenging environments offers the right solution. The Oil and Gas Industries subject their machinery and equipment to non-stop activity, so that due to wear and tear, keeping up-to-date on scheduled maintenance becomes vitally important. Asset tagging and tracking greatly facilitates this process. Telecom and Cable Companies have to maintain control over numerous and widely dispersed assets, and ensure that they are working optimally. It would be impossible to keep this control without asset labels, whether responding to power outages and other equipment malfunctions, or allowing parts to be reordered or replaced. Defense Industry standards require a very strict level of accuracy for asset tracking and the durability of asset tags, to ensure that their assets can be identified even after exposure to hazardous conditions. Utility Companies have to maintain equipment that is continually exposed to harsh outdoor environments and chemicals, which are particularly hard on asset tags, demanding very durable products. Stock Picking requires a high level of inventory control when dealing with such issues as excess stock and ensuring a smooth ordering and delivery process. Asset tags can be a vital part of that process. In order to ensure that the correct product is being picked, an intelligent scanner might be used to read a location tag, or asset labels could help robots follow paths in the warehouse environment. Educational Environments can greatly benefit from the use of asset labels, since classrooms, administrative areas and lecture halls routinely utilize an array of assets designed for presentations, including laptop and desktop computers, audio-visual equipment and a variety of communications systems. Government Offices also are an ideal place to use asset tags, given the prevalence of indoor office equipment, both low-tech (e.g., storage systems) and high tech (computers and phones) as well as such assets as street signs, which will be used outdoors. Healthcare is an industry that would be essentially impossible to operate without the use of asset tags, given how many physical assets are required in a hospital, clinic or physician’s office, including supplies, diagnostic equipment and pharmaceuticals. Agencies and Firms that manage billable hours by client and/or case would have a tag on each case file that is then scanned as the individual progresses to work on said file, then scanned again once time has been completed. The above are just some of the applications for these useful and universal pressure-sensitive products. If you are thinking about creating an asset tag for your company or client, contact SixB Labels — we have the resources to create the ideal solution for your business needs!